Recover Photos, Music, Video, files from any Digital Media. Displays previews of the recoverable photos. Supports more than 20 languages. Ability to format or wipe a memory card. Works with most brands of cameras, cards and readers. AppleXsoft Photo Recovery for digital media is the standard in digital media data recovery. 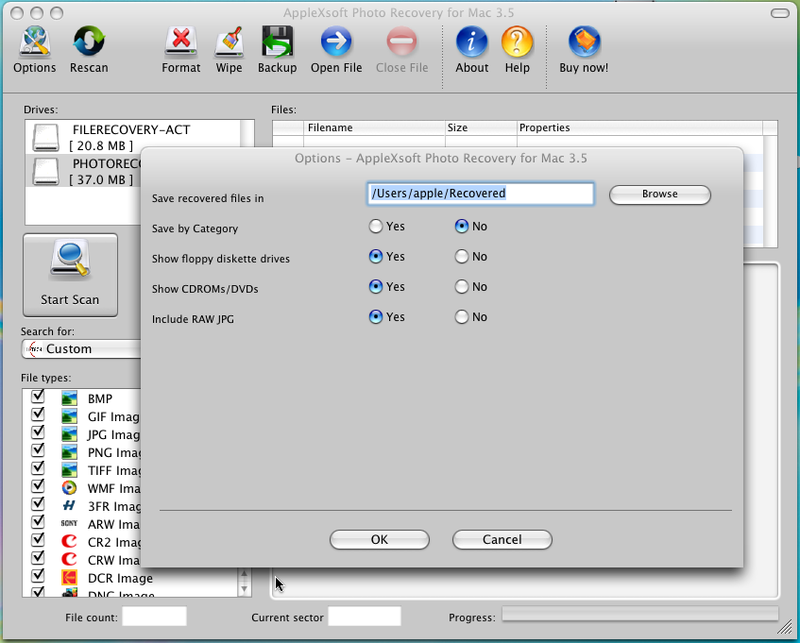 It is an easy to use do it yourself recovery software for Mac OS X. It enables you to quickly and easily recover photos, video, music and files from memory cards, Memory Stick, Microdrive, SD, xD Cards, SmartMedia, CompactFlash, MMC, PCMCIA, VideoCD, DVD, and most types of digital camera. This product works with most USB, FireWire or other Digital Media readers, and can recover data from Palm Pilots, PDA devices, Digital Cameras and Camcorders, MP3 players, Digital Recorders and other devices. Whether files were deleted, the media was corrupted or formatted, this Digital Media Recovery for Mac can help. digital media data recovery has a built-in preview feature. Click on a filename to see a thumbnail preview of the picture. If the software can display the image then it should be possible to recover the photo intact. To recover your lost photos, just select the files you want and save them to a new location. Additional features of digital media recovery for Mac include the ability to format or wipe a memory card. You can also create a backup image of a memory card, and then recover photos from the backup image. running at 600MHz or Faster. Recover photos from digital cameras, iPods, iPhones, PDAs and more. Award-winning Mac Digital Media recovery software, works when other utilities have failed. Recover RAW images from Canon, Nikon, Pentax, Fuji, Kodak, Minolta and many other digital cameras. Supports Memory Sticks, SmartMedia, CompactFlash, MicroDrives, SD/XD Cards, Floppy Disks and most other digital media. 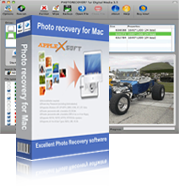 AppleXSoft File Recovery for Mac is one of the easiest to use Mac data recovery software. Data Recovery Professional safe and complete data recovery for Windows. File Undelete 2010 is an easy to use, affordable do-it-yourself data undelete solution.